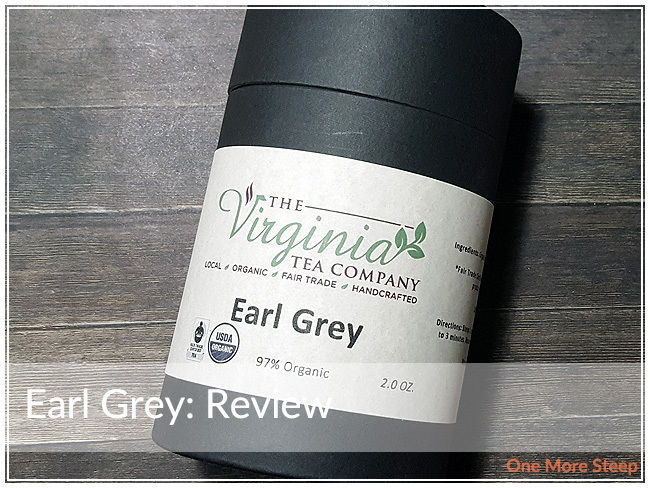 The Virginia Tea Company has provided me with Earl Grey for the purposes of providing an honest review. I received this product at no charge to me and received no other compensation. The Virginia Tea Company’s packaging is pretty nice. It’s a sturdy cardboard container and inside was the 2oz of tea (in a wax paper bag), 10 tea bags, 1 tea ball infuser, and 1 wooden spoon. There’s various price points for their tea, according to the website. 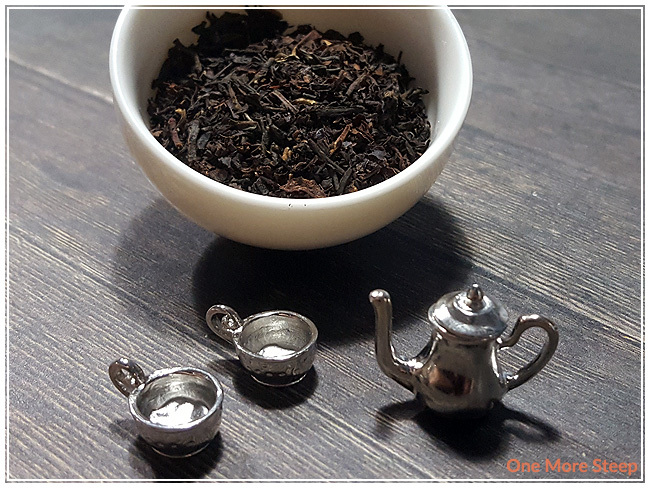 For 2oz of tea only, it’s $11.50USD and for the option of the tea plus all of the accessories, it’s $15.00USD. I think the tea plus all the accessories would make for a great gift-giving option as it would be a nice loose leaf tea starter kit. The tea leaves have a strong Bergamot smell to them, it’s quite nice. 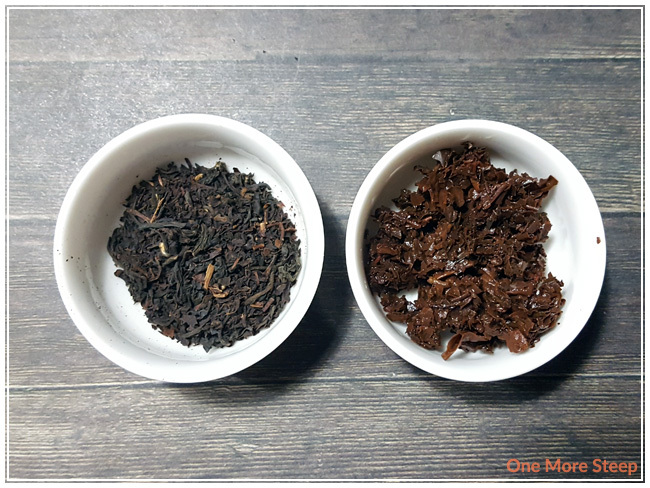 Otherwise, the black tea base has a great malty smell to it that reminds me a lot of Assam tea. According to the packaging, this tea is 97% fair trade and organic. The Virginia Tea Company’s Earl Grey consists of black tea and Bergmot flavouring. As a side note, at the time of writing I was unable to determine on The Virginia Tea Company’s website if the drawstring tea bags were compostable. I messaged the company and found out the ones photographed above are not biodegradable and the company is in the process of changing to tea bags that are. 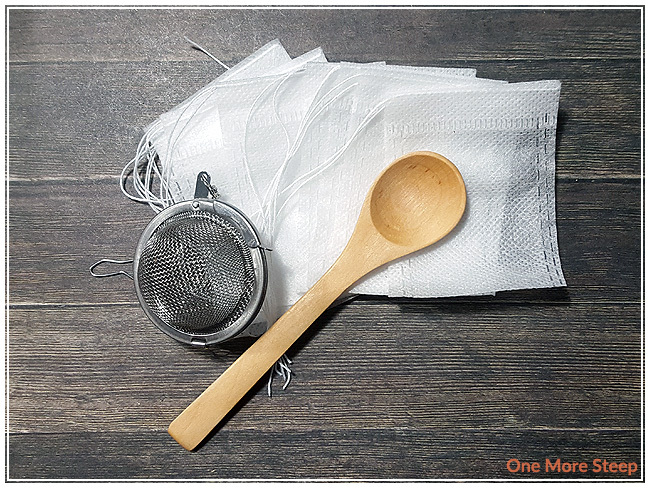 The steeping instructions from The Virginia Tea Company is to steep with boiling water (100°C/212°F) for 2-3 minutes. My initial steep of Earl Grey was for 3 minutes. 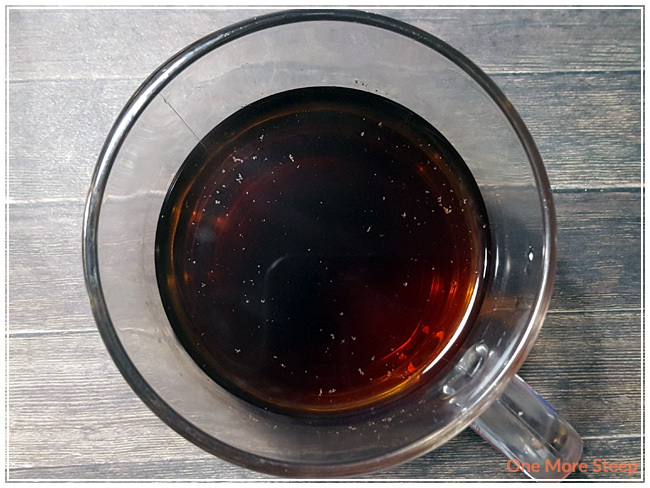 The first thing I noticed when steeping Earl Grey is that there was an instant waft up from the tea when I was pouring in the water of a malty smell – it definitely reminds me of Assam tea. It steeped it for three minutes and my first sip? It’s bitter! It’s very malty and has strong Assam flavours. To counteract the bitterness, I added sugar to it. This helped to cut down the bitterness and it did brighten up the bergamot flavouring quite a bit so that it was more noticeable. I doctored it further by adding evaporated milk and that helped to cut down the bitterness completely. Sugar and milk saved the day! I definitely think that 3 minutes is too long for an initial steep. I attempted again at the beginning with fresh tea leaves for a 2 minute steeping time, and found that the tea was mildly bitter. It required less sugar and milk to make it more palatable. For my third go around, I steeped for 90 seconds and found that the tea had zero bitterness. I resteeped the tea leaves from my third attempt (initial steep of 90 seconds) and found that the flavours were still quite good. It has a robust malty flavour from the black tea base, which coupled with the bergamot is enjoyable. I quite enjoy Earl Grey on a regular basis, so this does resteep nicely. The packaging suggests that the tea leaves can be reused up to three more times. I found by the third resteep (fourth steep overall at 3.5 minutes), the bergamot is no where to be found although the black tea base is still going strong. The bergamot flavouring was still noticeable in the second resteep (third steep overall). I liked The Virginia Tea Company’s Earl Grey. I do think that the recommend steep times are a little long for this Earl Grey, and would highly recommend starting at 90 seconds for the initial step. This tea does well with being modified, so if you do over steep it like I did with your first steep the tea can still be saved. 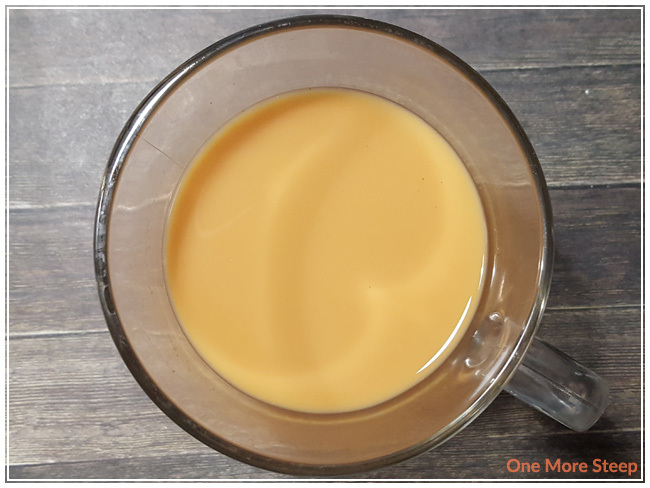 A little bit of sugar and milk goes a long way to keeping your tea tasty. It’s not often that I come across an Earl Grey that can be resteeped more than once, usually because the bergamot flavouring is completely gone with the initial steep – so that was certainly a nice touch! I really like that The Virginia Tea Company offers you the option of buying the tea with or without the accessories – if you’re buying it for a gift for someone who’s new to loose leaf tea, the accessories option would be a great idea that way they’re not struggling to figure out how to keep the tea leaves out of their mouth.